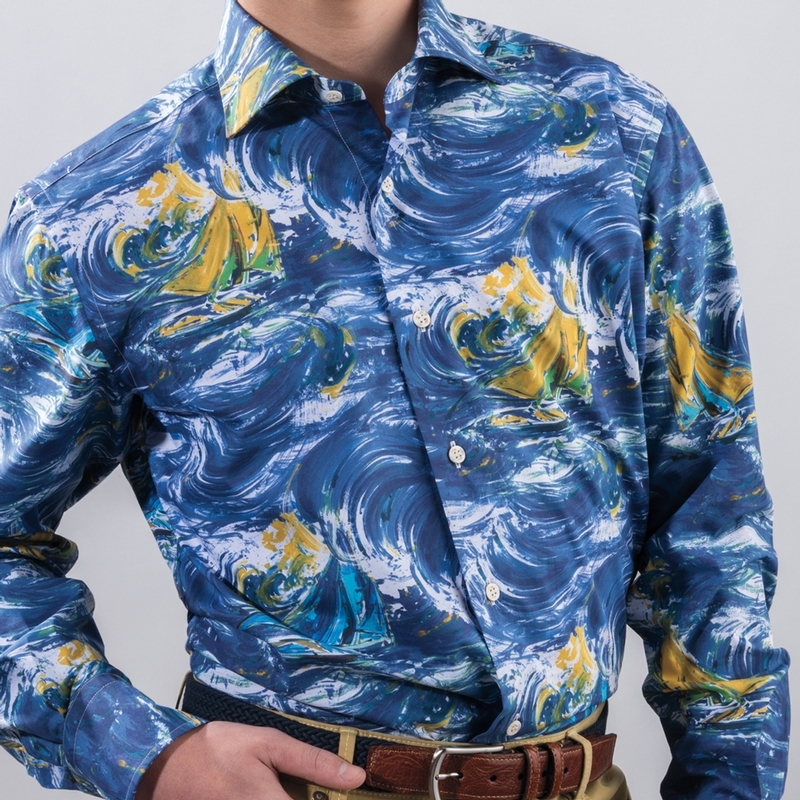 Sartoriale Storm Print Shirt of pure cotton, with soft point collar, long sleeves, no pocket. Made in Switzerland. 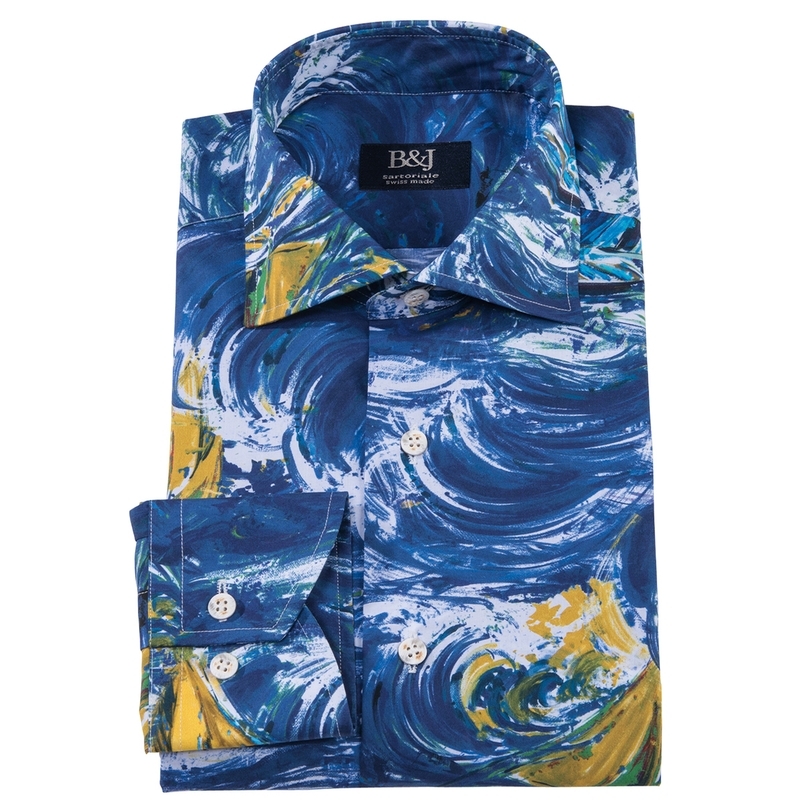 Fine Italian cottons, tailored with Swiss precision, for shirts of distinction. All seams are turned and single-needle stitched, every detail is evaluated for quality, aesthetics and comfort, from the set of the collar to the inside of the pocket. Precision creativity excellence.